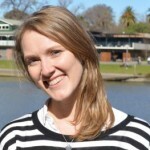 Melbourne social enterprise ​Unbound is trying to reshape the way we do education, writes Wendy Williams in this month’s Spotlight on social enterprise. 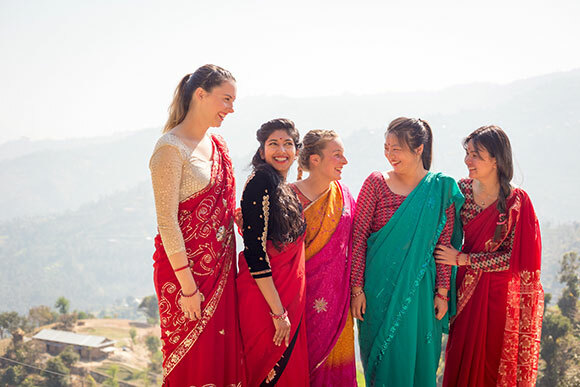 From Thai designers to Burmese innovators to women’s empowerment in Nepal, social enterprise Unbound is encouraging Australian students to step out of their comfort zones and “dive into a global experience”. According to Julian O’Shea, the founder and CEO of the Melbourne-based educational social enterprise (formerly the Laika Academy), the aim is to redesign and rethink education. “We’re starting with higher education, particularly university courses, as we just think they could be a lot more engaging and more based on real world issues, in particular social and environmental issues,” O’Shea tells Pro Bono News. Unbound works in partnership with universities to develop and deliver overseas educational programs using a hands-on approach to innovation and multi-disciplinary collaboration that goes beyond the constraints of classroom learning. The aim is to educate and connect students to important global issues; to increase the number of students undertaking international education and mobility programs; and to provide tangible connections between technical knowledge and their application to create positive social change. O’Shea says it started as there wasn’t an organisation like it. 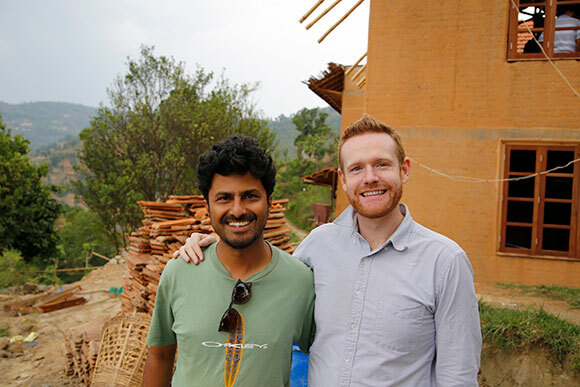 “I’m an engineer by background and worked for many years in the not-for-profit sector heading up education and research programs as a director for the Engineers Without Borders Institute,” he says. 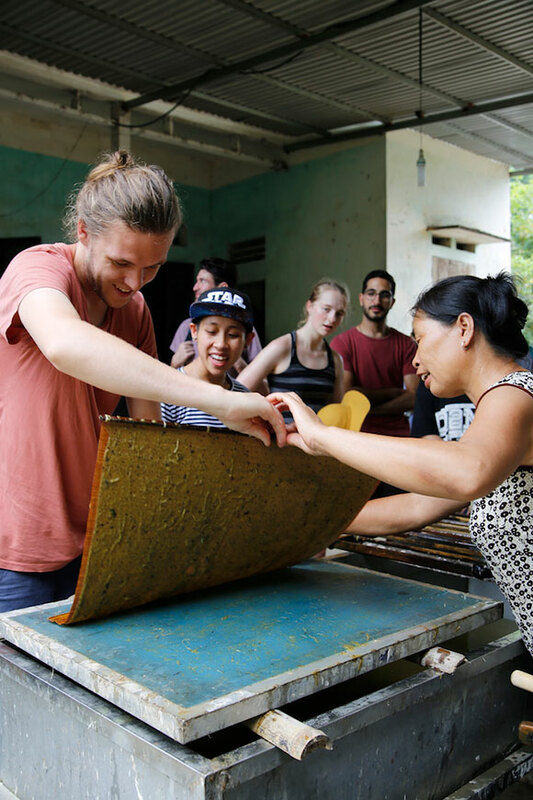 “I really liked the impact that education has, that engaging on sustainability and community development projects has, and I was looking to expand our work beyond just engineering. O’Shea says their focus on collaboration in particular, sets them apart from other overseas education programs. “One of the things we’re trying to change is this thinking that you travel to Europe and the US if you want to learn, but if you go into developing countries you are there to help,” he says. “Australians have a lot to learn from Vietnamese organisations, from Indian startups, from Nepalese designers, so a lot of it is around what are the skills that we can use to apply collaboratively back in Australia. The organisation also prioritises ethical engagement. The aim is to give students “all the benefits of having a genuine local experience”, allowing them to collaborate, use their skills and their interests, but do it in a ethical way. O’Shea stressed the difference between the organisation, which has signed up to the ReThink Orphanages campaign, and “voluntourism” or orphanage tourism which has been making the headlines recently. “This is honestly one of the reasons why we started Unbound, to be an alternative to the existing ways that people travel,” he says. “As an Australian young person you can generally go and be a backpacker, you can join a tour, like a Contiki or an Intrepid trip, or voluntourism. They’re really the three main ways that people travel. Unbound also has people coming to Australia from their partner organisations. “So it’s a genuine exchange of ideas,” says O’Shea. The feedback from participants in the programs has also been positive. “I think there’s something really powerful about solving problems where the answer isn’t on Google, working on projects that are real world,” O’Shea says. “There is motivation and reason to try beyond just getting good marks. I think that’s one of the issues with most university assignments, the sole reason to do it is to learn the content, cover it well and get a good mark but almost every assignment gets shredded or deleted as soon as it’s been done. It doesn’t go anywhere. So being able to give a motivation to really invest energy and time into doing something is a pretty special opportunity. But according to O’ Shea, as with any start-up, the initiative has not been without its challenges. “Anyone that says they don’t have a challenge is lying,” O’Shea say. “A lot of it with us is doing something in a different way. So universities are I think fantastic institutions, but there is this kind of ‘way things are done’. He says being a new organisation is also a challenge. “Your phone calls are always like ‘Hi I’m Julian from Unbound’ – ‘Who’s that, what’s that, what do you do?’,” he says. Unbound’s latest project is an innovative program called Generation Launch, which hopes to foster inclusion in Victoria’s startup ecosystem and address unique challenges facing migrant entrepreneurs. The organisation received $322,500 from LaunchVic to run a number of workshops and events in 2018 and 2019 for the program, as part of LaunchVic’s third round, focusing on increasing refugee and migrant participation in the Victorian startup ecosystem. Generation Launch aims to open the doors to migrants, refugees and other new Australians, helping them to build their knowledge and skills, as well as connect to networks that will help them launch their business ventures successfully. O’Shea says the goal is to “combine education with strategic relationship building” that will provide refugees, migrants, and other new Australians the skills and opportunities they need to launch their ventures within the Victorian startup community. “We’re really excited about this one,” he says. He says migrant entrepreneurs faced a number of challenges. “In the research the three things that are highlighted as particular challenges for migrant entrepreneurs are direct skills that apply particularly in the new context. Knowledge of doing business in a different culture, so what some of those regulations, requirements and activities are. And then the third big one is networks,” O’Shea says. Upcoming events include an inclusive hackathon as part of Melbourne Knowledge Week and a major event, Unbound Ideas, in August. “Our big vision is how do we redesign and transform education,” O’Shea says. “Something we really want to do is support people with creativity and new ideas in bringing them to life. So we’re doing more open education programs, for example as part of the Melbourne Knowledge Week. He says the most powerful things about being a social enterprise is that the resources can grow as your ambitions grow. “With a not for profit if you have a fixed amount – whether it comes from donations or philanthropy – in one sense the more you do, the less resources you have for activity. But there is something powerful about building a business model where the more we grow the more impact we can have and the more resources we get,” O’Shea says.